The clock strikes midnight, and you've entered a masquerade ball. Say hello to midnight masquerade, a limited edition collection by Essence. First of all I love the ornamend mask that comes in this collection! This mask is made of soft fabric and a ribbon on the back, that way it can be adjusted and it fits for everyone. 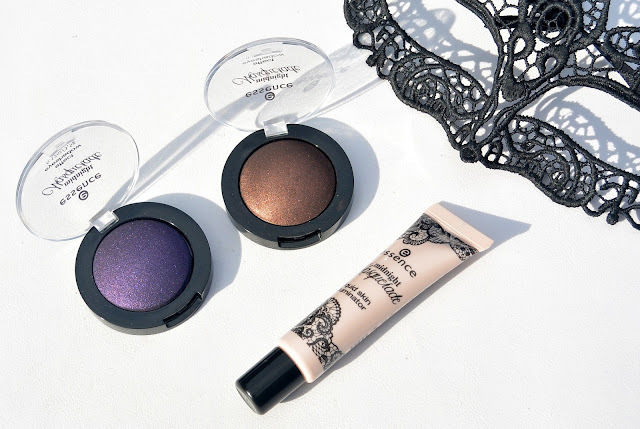 Let's start with the eyeshadows from this Midnight Masquerade collection by Essence. These eyeshadows are foil-effect shadows. They exsist in 3 colours, but I only got myself 2 of them. 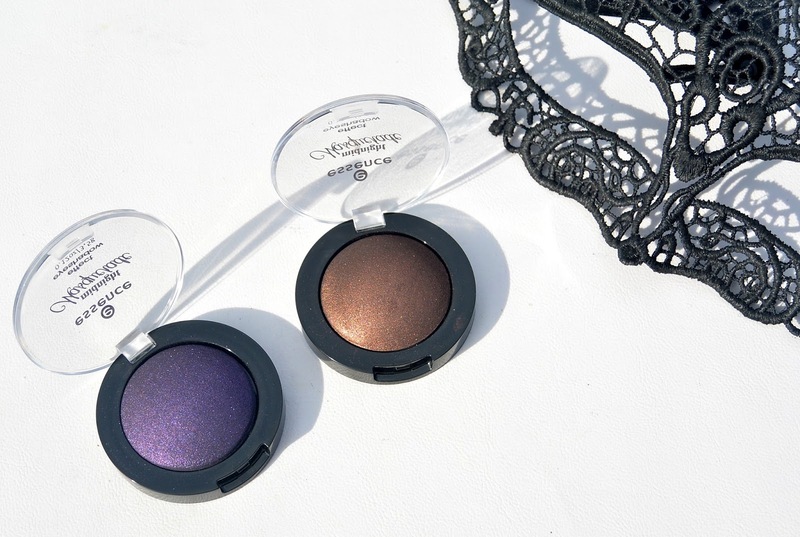 The eyeshadows are based on black metallic pigments. These pigments provide a foil finish in the eyeshadows and they give your look a fascinating effect. I was really surprised by the swatches. These eyeshadows are so pigmented. 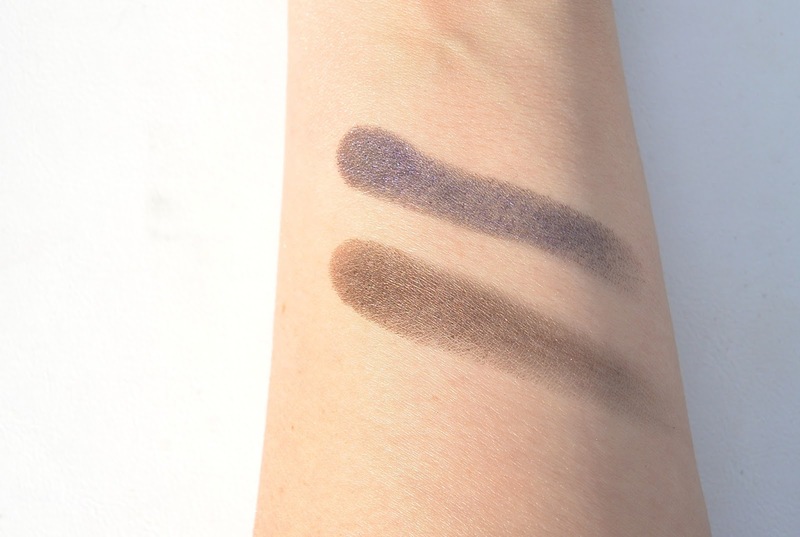 As you can see, the black metallics give a darker undertone to our eyeshadows and provide the foil effect. 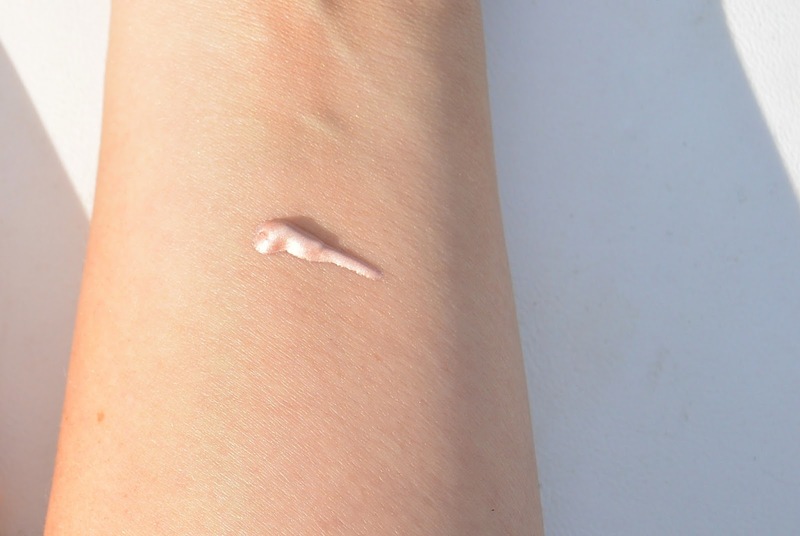 Next up is the liquid skin illuminator. 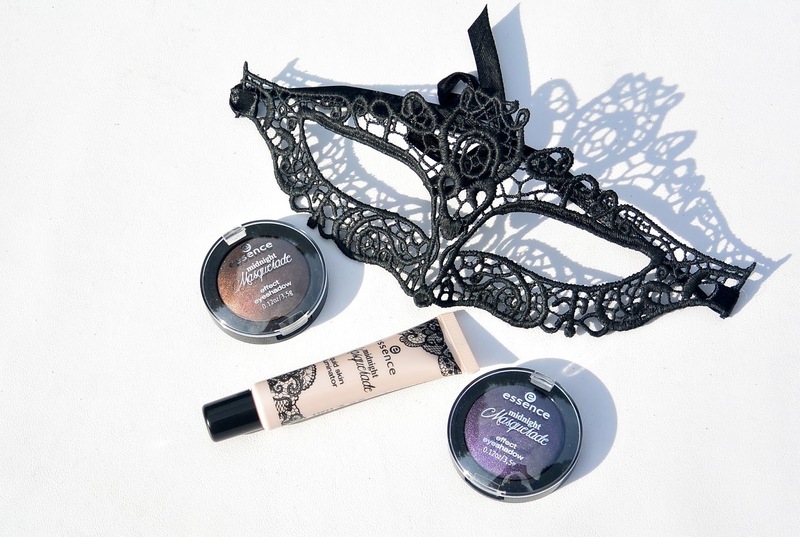 When it's dark and you're on a masquerade ball, you've got to have some glow on your skin. 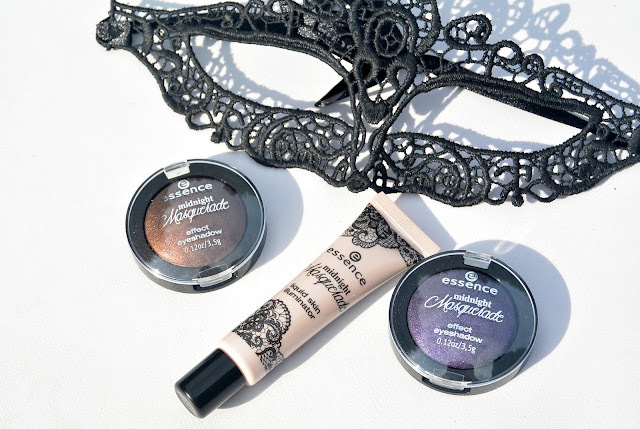 That's why Essence provided this Midnight Masquerade collection from a liquid highlighter. 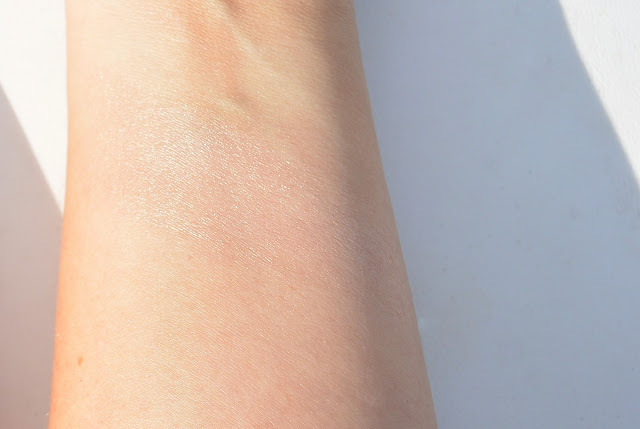 This liquid highlighter can be used on face AND body to provide the skin from a soft shimmer. I really like the subtlety from this liquid highlighter, it is so gorgeous! Essence Midnight Masquerade is a limited edition collection that is in store now. Ador os produtos Essence são lindos e ótimos, já desejei esses que vc mostrou. Like what you show here! This is the second post I've read today about Essence, I definitely get on board! The shadows have such great pigmentation!